When choosing a date and venue for a Demo Day in Cape Town, the risk is always that the weather won’t play along… Our team got lucky again as blue skies and opens roads led us to @Freedom301 in Paarl. With beautiful, open, winding roads and fantastic views all-round, Paarl was a great choice for hosting the opportunity for patrons to put our mean machines to the test. And test, they did! Our demo fleet consisted of a Street Rod®, a Forty-Eight®, an FXDR114, a Heritage Softail® Classic and a gorgeous Street Glide® Special in Billiard Blue. With such a large variety, there was a motorcycle to suit everyone’s taste! Our hosts @Freedom301 ensured that there were cold beverages, delicious food and live streaming from Magic 828AM radio all day. 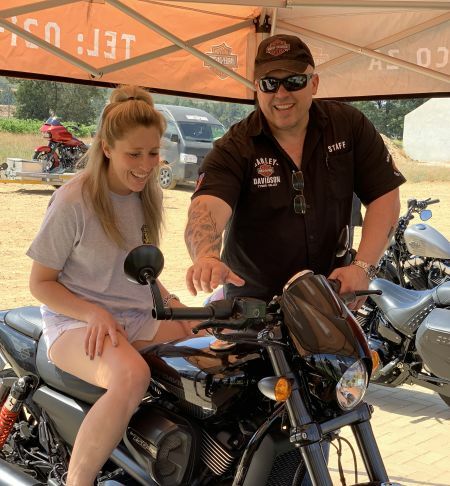 There was a lot of excitement around the FXDR114 for those who hadn’t yet had an opportunity to take Harley-Davidson®’s latest masterpiece for a test ride. The feedback? A phenomenal monster that eats up the miles effortlessly as well as being really easy to handle. Our team also bought the Jumpstart with to @Freedom301 for those without licenses and who might have never ridden a motorcycle before. The Jumpstart is a stationary machine that one can mount a motorcycle to, giving the rider the opportunity to “ride” the bike without actually moving or tipping over. This machine proved really popular with both the younger and older crowd, drawing interest from ladies and gentlemen alike! For those just browsing, we also had a selection of MotorClothes® available for purchase. Overall, there was a fantastic turnout and we can’t thank everyone that attended enough for making the day so special.